Discussion in 'General Minecraft Discussion' started by Green_Mystery, Jan 13, 2012. I've downloaded the new update and have been experimenting with survival mode. I've spent a few hours on it and have compiled some basic information on how to survive in the barren wasteland known as the Superflats. First things first, before you even start the game, you must change the map mode from default to Superflats (duh) and you must turn randomly generated structures on if it isn't already. 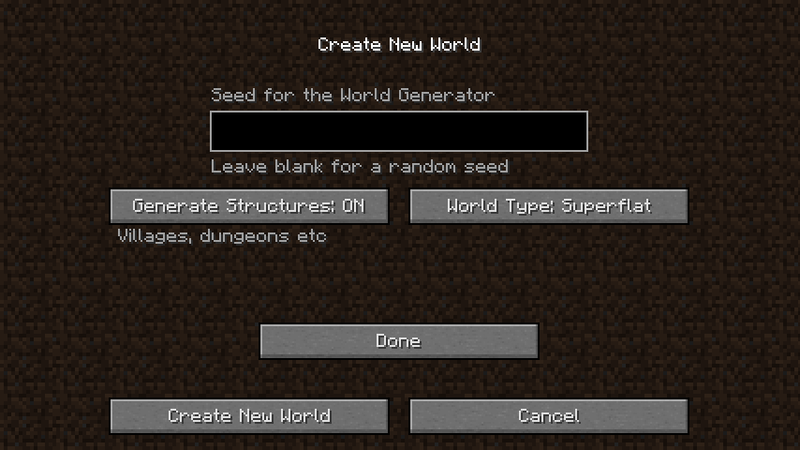 This will ensure NPC villages will pop up over the surface, which are essential to surviving Superflats. Your game has begun, you must now find a village that will act as your "home base". From my experience, villages usually end up very close to the place you first spawn. The best buildings to set up a bed is in a large house or the Cathedral. Do not destroy your home base. A nice bonus is finding a blacksmith's house. Some villages can have 3 smith's house, some do not have any. If you find a Smith's house, raid the chest. The chest can have great and useful things, such as Iron & gold ingots, apples, bread, obsidian, and even diamonds. To build a bed, which will make the nights a lot faster and thus make the slime's noise less irritating, destroy the "street lights" around town and 3 planks from any house but your own. Only 3 of each are necessary. By building a bed, you have secured a fixed spawn point for yourself. Cheers! PROTIP: If your village has a library, jack their crafting table and put it in your home base. You can craft your own swords and hoes now mate! Hoes are for crops of course, make full use of the farm areas around the village to keep your food bar up to the top. Swords are for obliterating those irritating slimes that anger all of us in the Flats. PROTIP2: Remember I said that you can get Obsidian from Smith's chests? 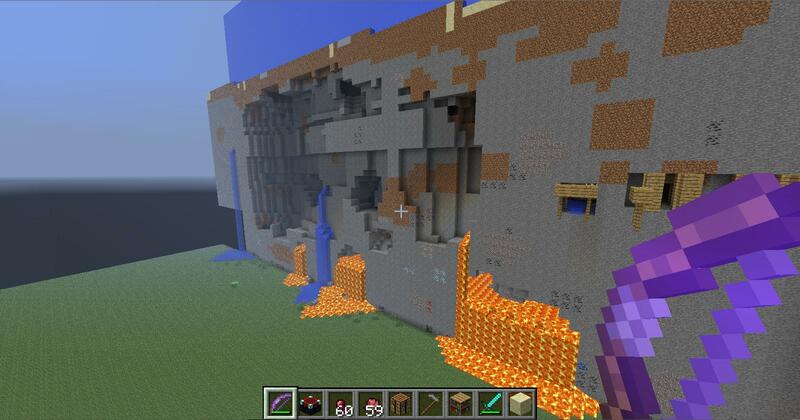 If you can manage to get 10, you can make a portal to the nether using an iron ingot, which can also be found in a Smith's house, and flint from the roads to make flint & steel to light the fire for the portal. 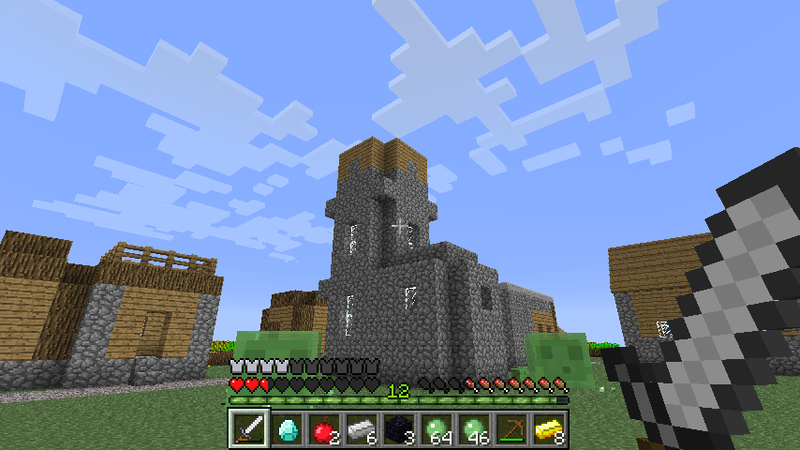 PROTIP3: You may seldom find an abandoned mine or stronghold. These are an interesting find as it will appear to be a random hunk of land just sitting there with some resources, including diamonds, out in the open. If you build an iron pick out of a BlackSmith's ingots and sticks, you may mine these resources. Barks87, MR2R2M, Omeletrice and 2 others like this. Is that water above that abandoned mine?. Nice, I've not updated yet so I haven't had chance to try superflat.